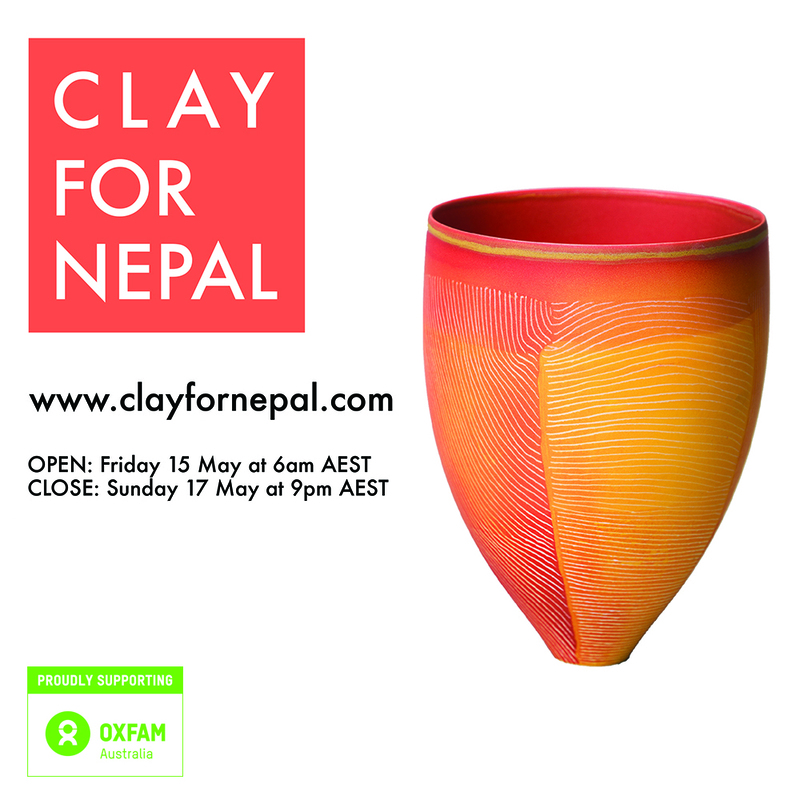 Next week more than 80 artworks donated by acclaimed ceramic artists and potters around the world will go under the hammer in ‘Clay For Nepal’, an online project initiated by celebrated Melbourne artist Vipoo Srivilasa, to raise funds for devastated earthquake victims. According to Srivilasa the response from the world’s ceramics community has been overwhelming with pieces donated by more than 30 highly collectable artists including Australia’s Pippin Drysdale and Belgium’s Ann Van Hoey. ‘I realised that together with my colleagues we could auction our work to make a substantial contribution to the relief effort,’ he said. Srivilasa is renowned for bringing communities together through ceramics and in 2011 raised over $20,000 in the wake of Tropical Cyclone Yasi for the Queensland Flood Appeal. The rising death toll since the April 25 earthquake has now reached more than 7,500 and foreign aid will play a critical role in providing emergency shelter, medical supplies, sanitation, safe drinking water and rebuilding the districts hardest hit. Go to www.clayfornepal.com and follow #clayfornepal15 on Facebook and Instagram for latest updates and details.